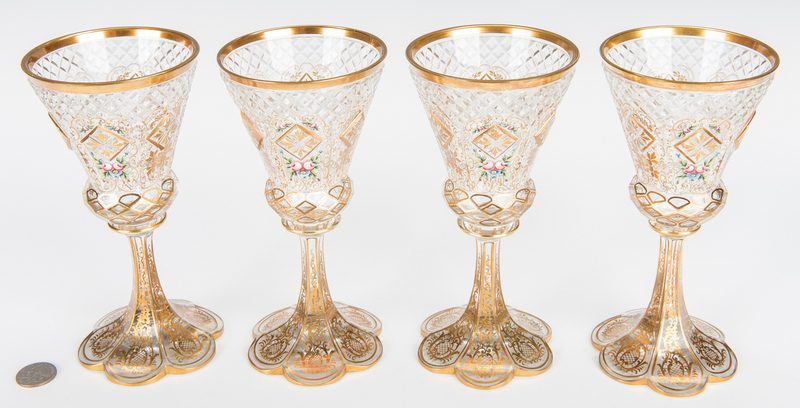 Four (4) cut and enameled Bohemian glass goblets, possibly Moser. 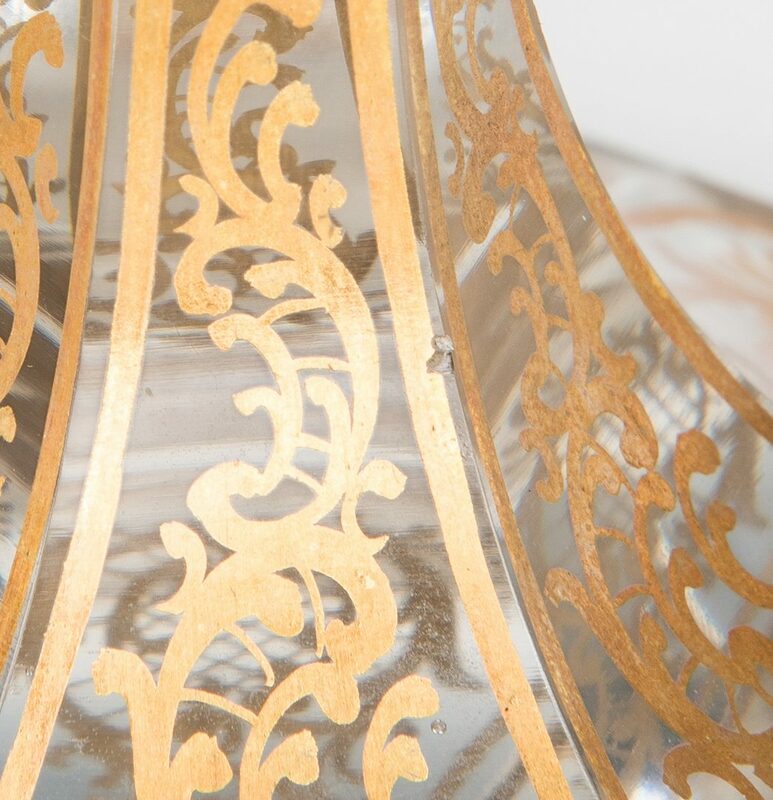 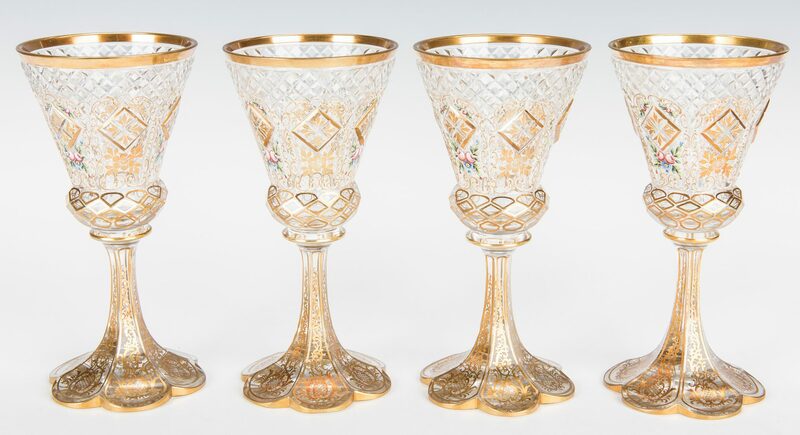 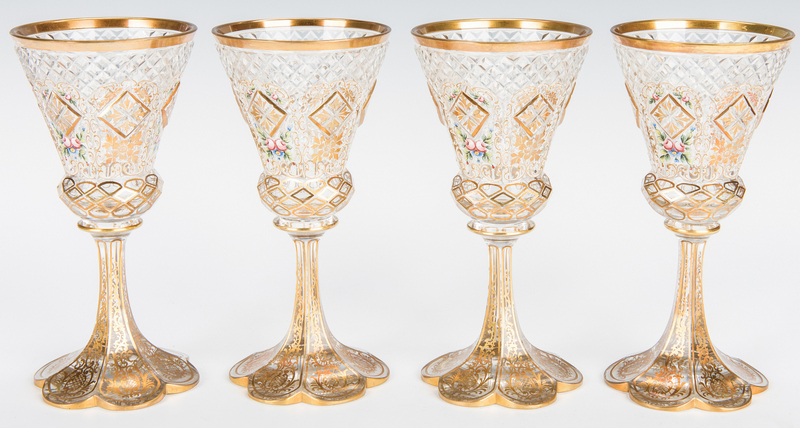 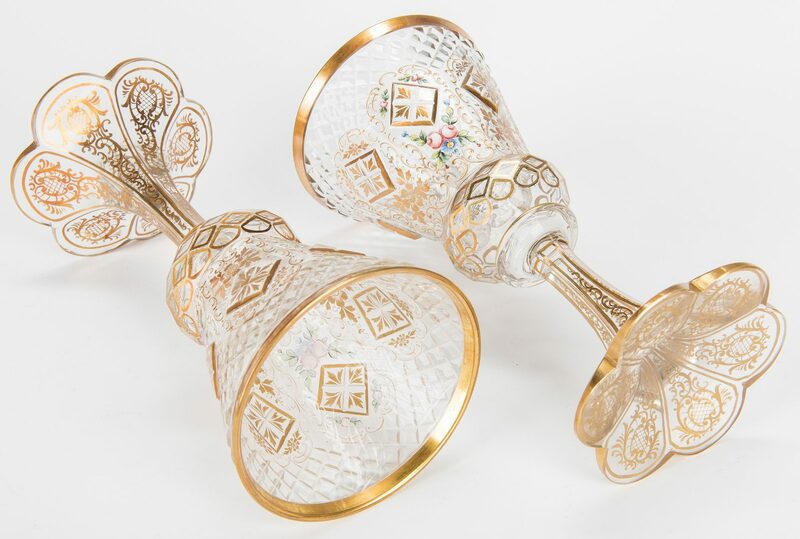 Inverted campana form bowls with diamond cut crystal sides, embellished with polychrome enameled floral sprays and gilt trim, over a tapering faceted stem and foot with enameled gilt cartouche designs. 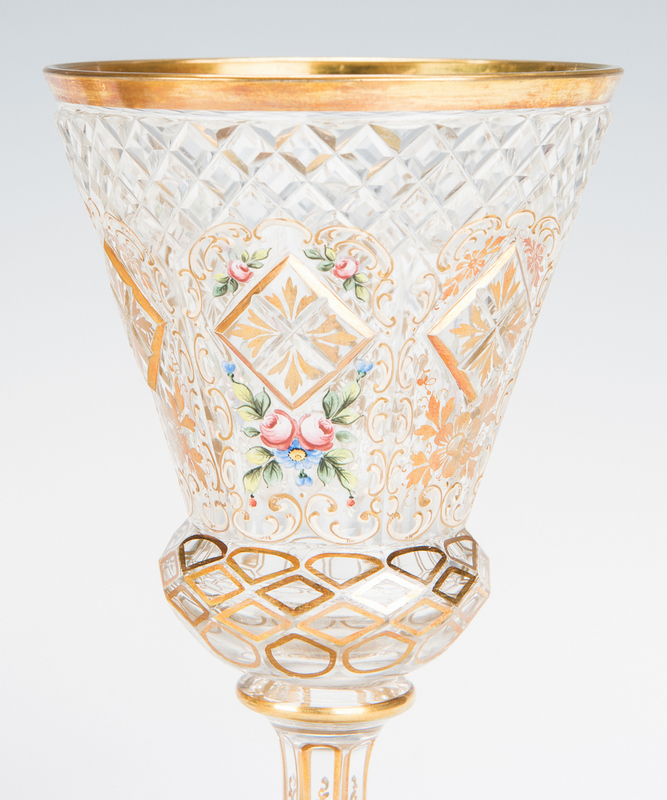 7 3/4" H. Late 19th century. 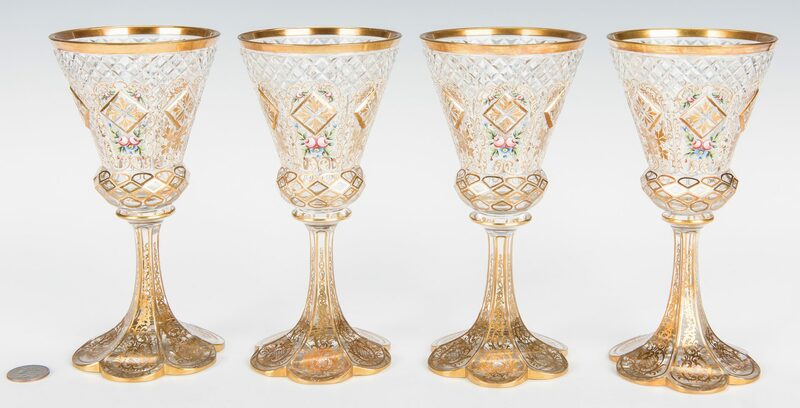 CONDITION: One goblet has a 1/16" chip to the side and fleabite to stem, otherwise all items excellent condition.